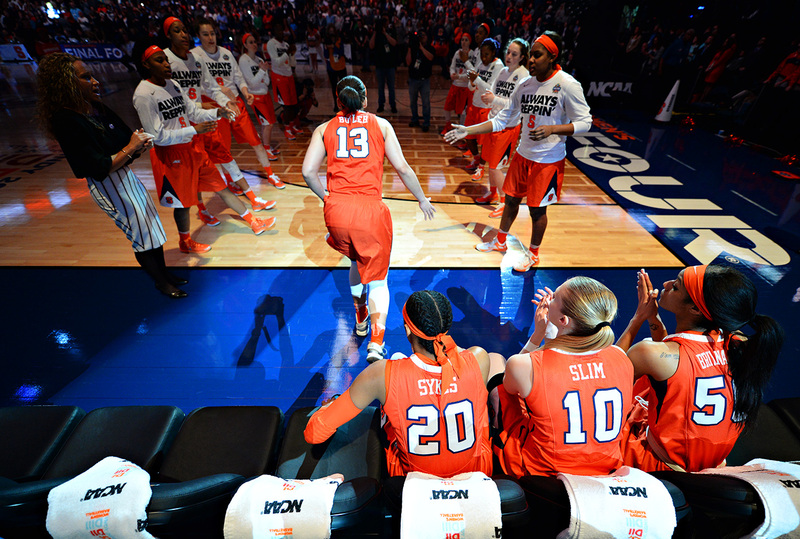 For the first time ever, the Syracuse Orange women's basketball team advanced to the Final Four. 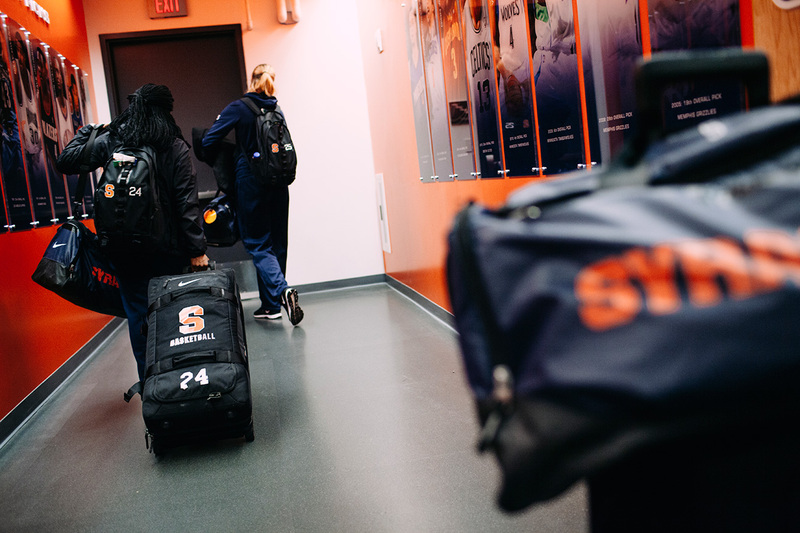 Go behind the scenes on their historic journey from campus to Indy. 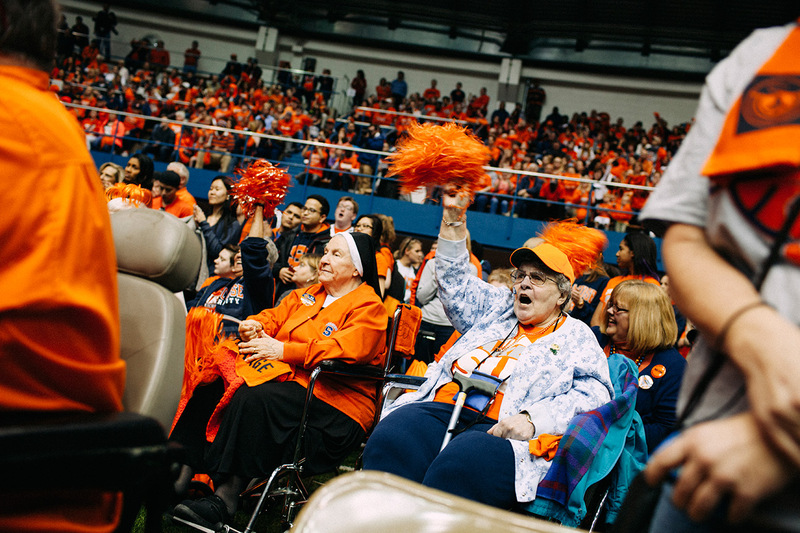 Roughly 2,000 Syracuse locals, students and basketball devotees are present at Syracuse University's Manley Arena in Syracuse, New York, to catch a glimpse of the women's and men's basketball players before they travel to their Final Four basketball games this weekend. 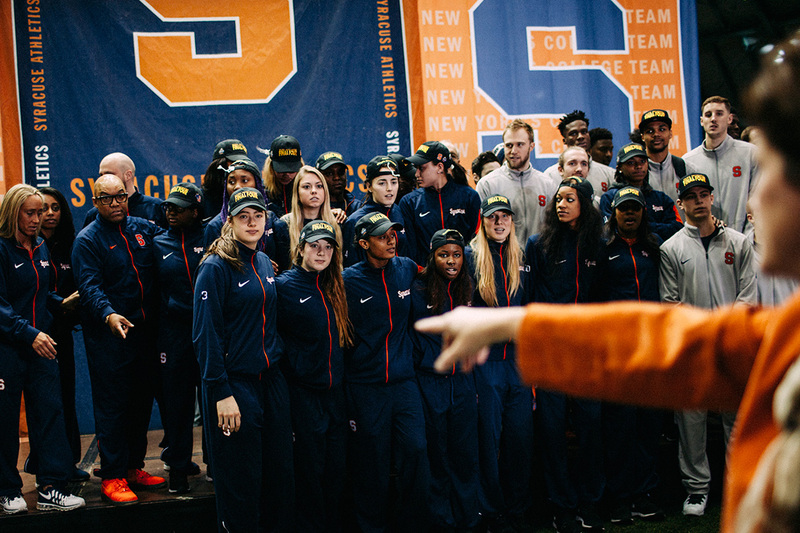 Sue Edson, the athletic department's chief communications officer, lines up players from both the men's and women's teams for a group photo. 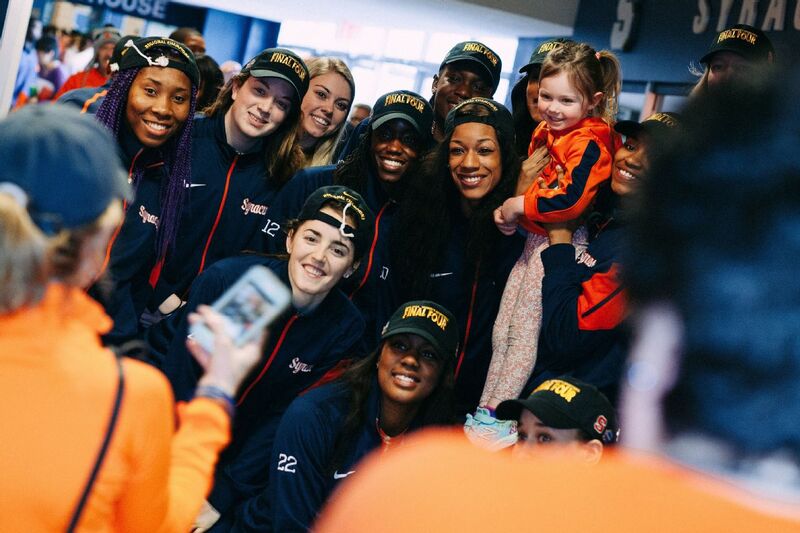 Brianna Butler, a senior guard from King of Prussia, Pennsylvania, waves to her friends from outside of the Syracuse University Carmelo K. Anthony Basketball Center's study room. Taylor Ford, right, tries on a pair of tan heels at Nordstrom Rack. 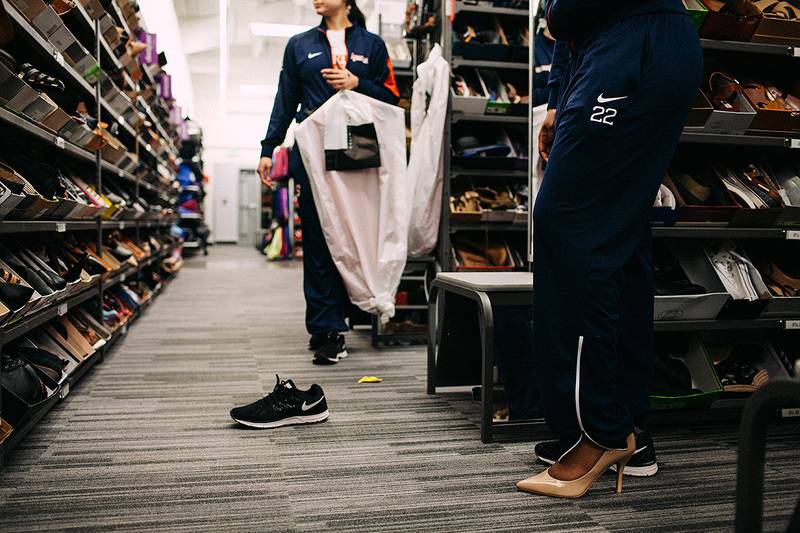 Ford is shopping with teammates Brianna Butler and Maggie Morrison for new formal outfits to wear in Indianapolis during the Final Four banquets. 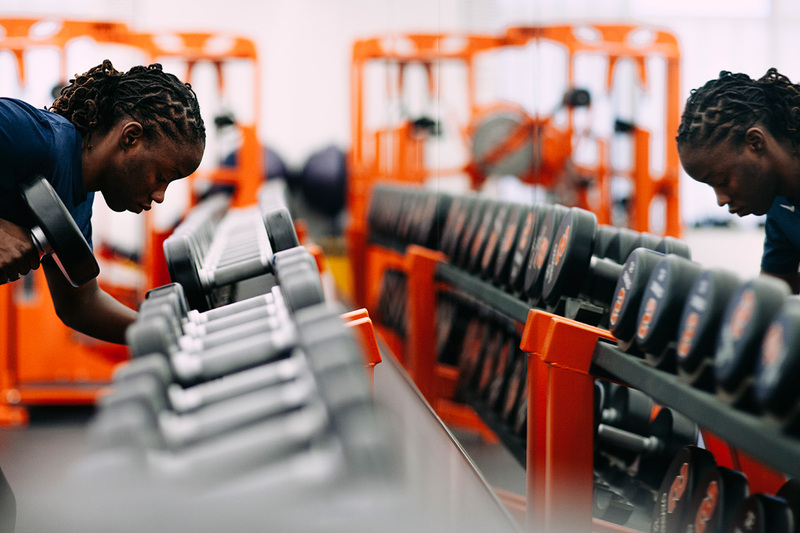 Aliya Parris, a senior forward from Hillsborough, New Jersey, gets in a final lifting session before boarding the flight to Indy. From left to right, Davida Dale, a freshman guard from Providence, Rhode Island, Julia Chandler, a freshman forward from Toronto, and Jade Phillips, a freshman guard from Raleigh, North Carolina, hit the cardio machines as part of their warmup. 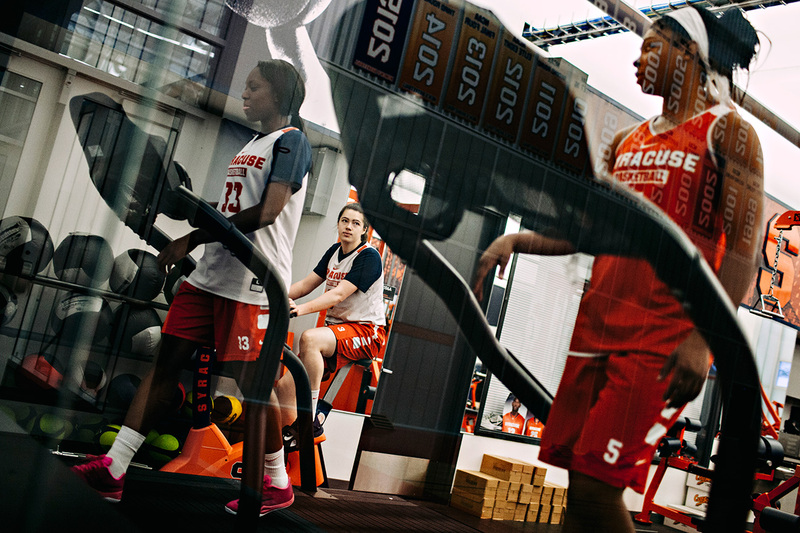 In the training room, the players can look out on the men's and women's basketball courts and see all of the banners from past championships. Alexis Peterson, a junior guard from Columbus, Ohio, takes some quick questions after practice. 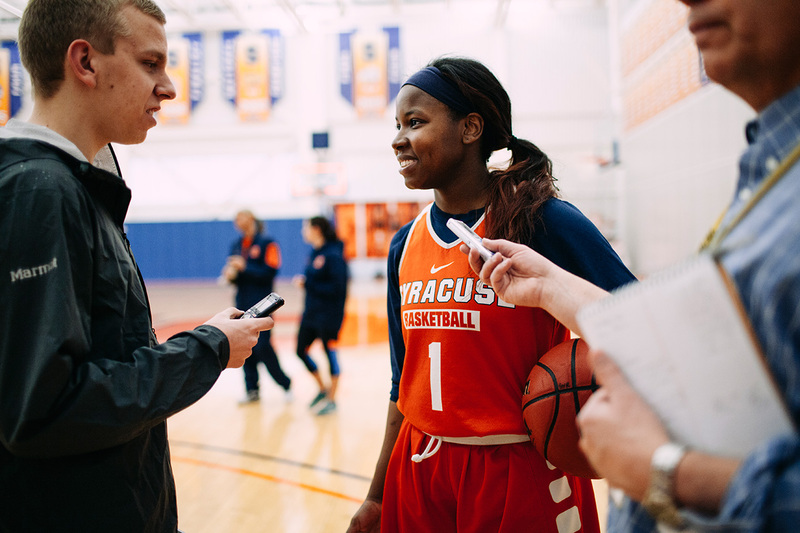 "We usually don't have this many reporters," said Anthony Prisco, the women's basketball assistant director of athletic communications. "We usually only have 5-10 local news reporters here, but now that we made it to the Final Four there are at least 10-15 here." They're off. The players head to the airport for their journey to Indianapolis. The Washington Huskies await. 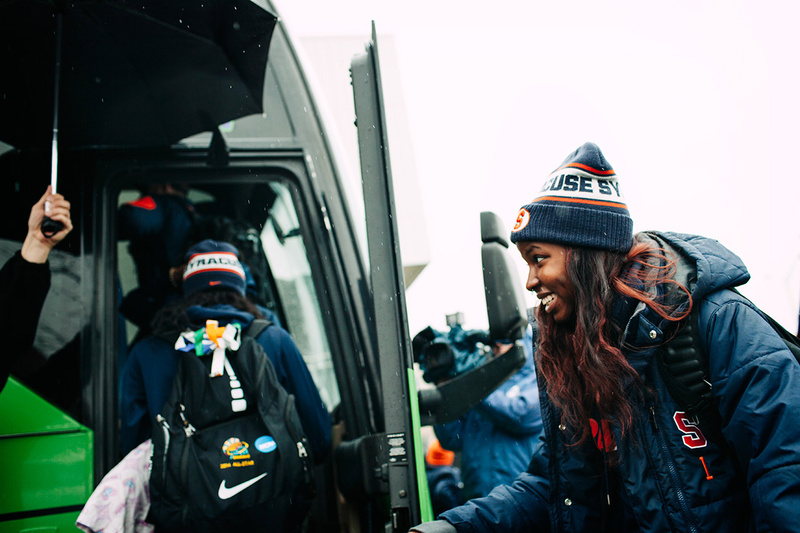 Junior guard Alexis Peterson boards the team bus that will take the team to the Syracuse airport for its flight to Indianapolis for the Final Four. 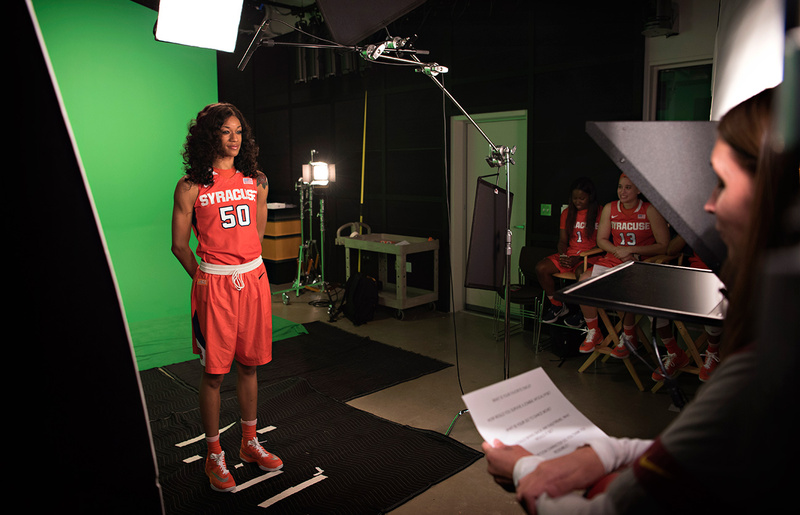 Syracuse senior Briana Day stands in a studio during taping for a broadcast segment at the NCAA headquarters. 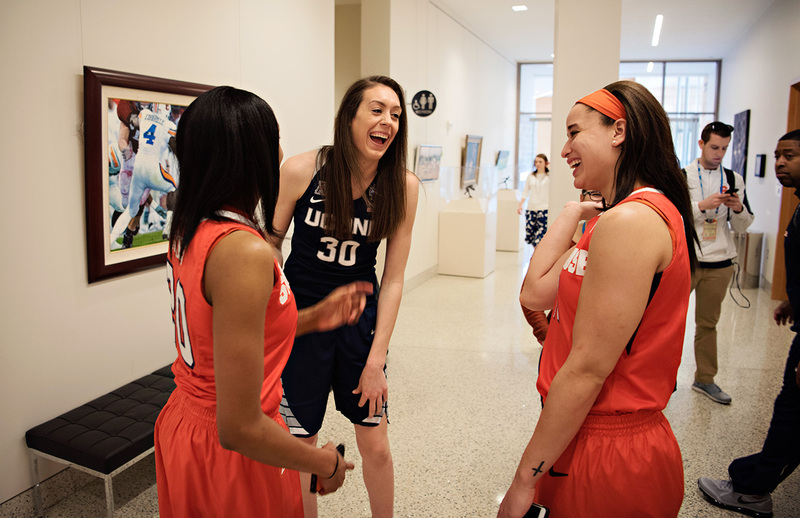 UConn's Breanna Stewart shares a laugh with Syracuse's Brianna Butler, right, and Brittney Sykes, left, in between Final Four media sessions. 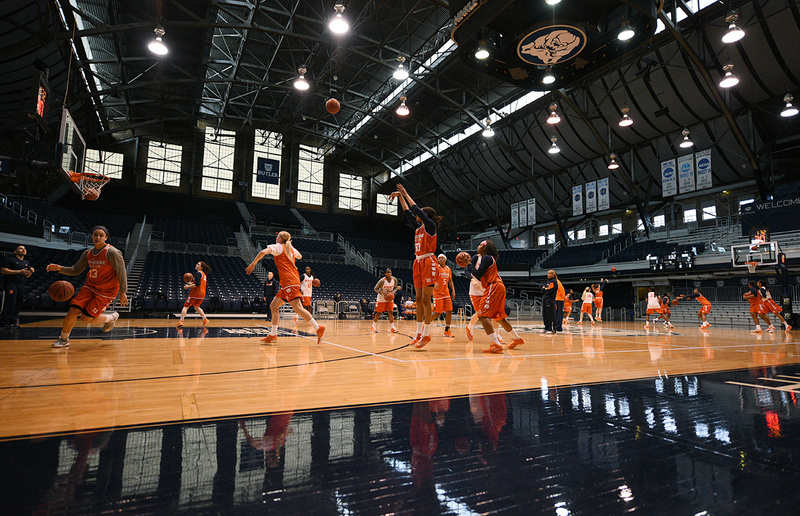 The Syracuse women's basketball team holds a practice at Hinkle Fieldhouse ahead of its Final Four game against the Washington Huskies. Hinkle Fieldhouse is Butler's basketball arena, and where the movie "Hoosiers" was filmed. 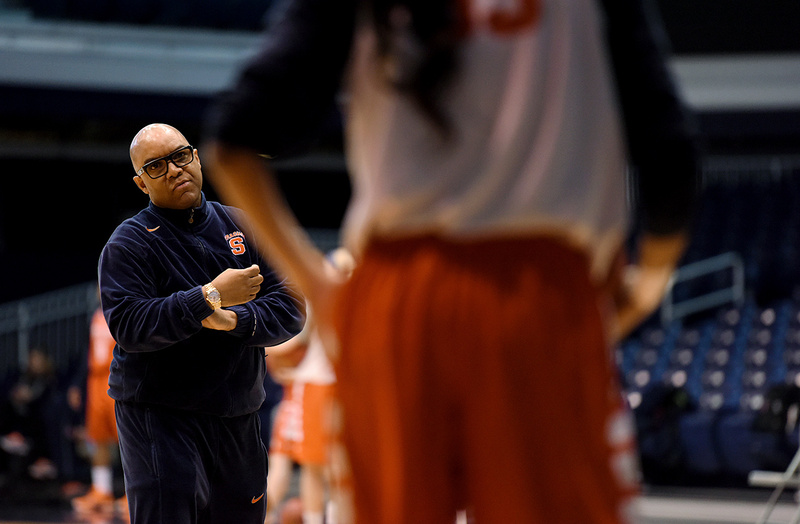 Syracuse coach Quentin Hillsman observes his players during a team practice on Butler University's campus. 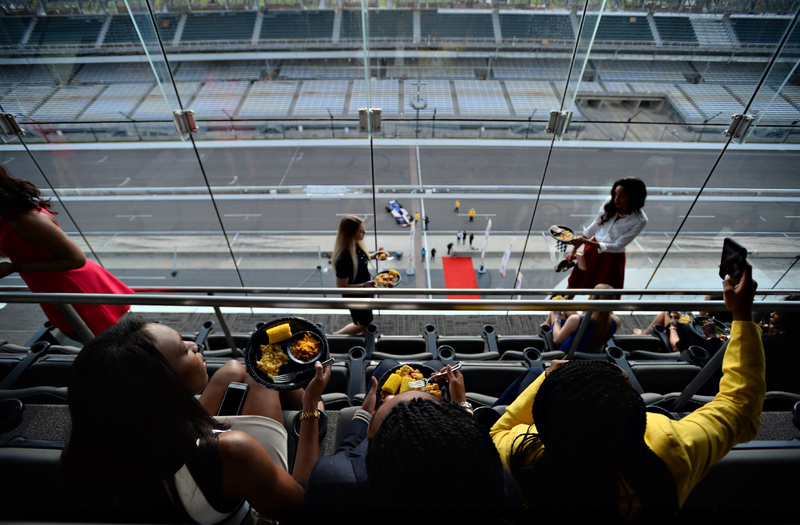 Several members of the Syracuse Orange team enjoy dinner perched above the bricks on the start-finish line of the Indianapolis Motor Speedway. 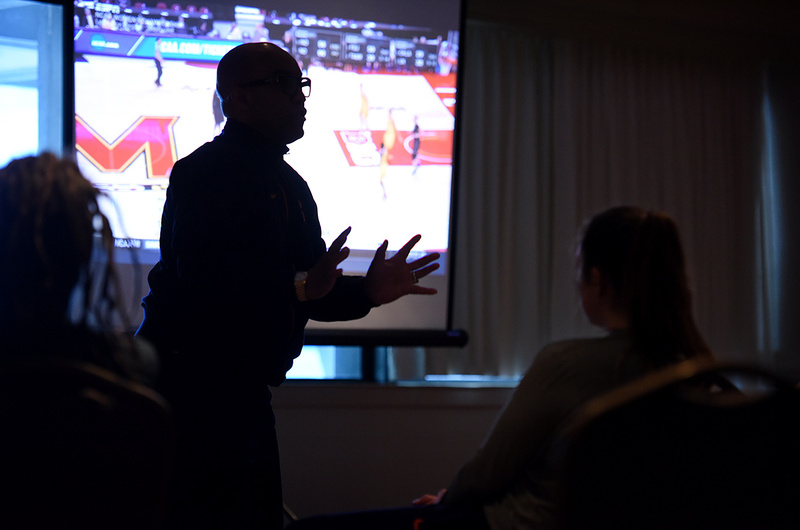 Syracuse coach Quentin Hillsman watches from half court as his team practices for the NCAA Women's Final Four semifinal against Washington. 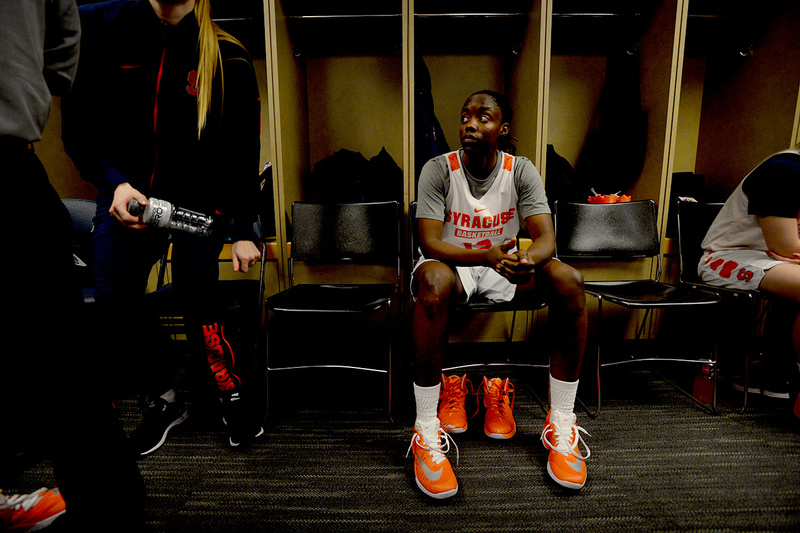 Syracuse forward Aliyah Parris finds some time to herself during media interviews from the Syracuse locker room after practice for the NCAA Women's Final Four semifinals. 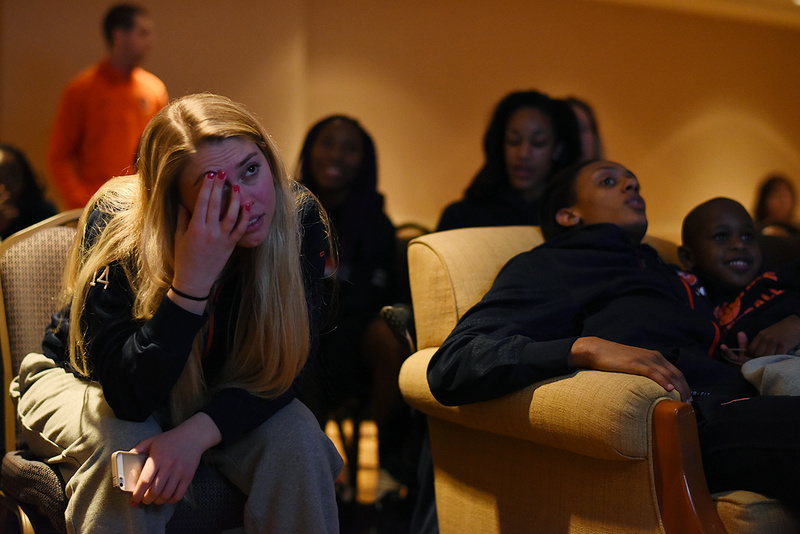 Guard Savannah Crocetti watches the Syracuse men's team during its Final Four game against North Carolina from the women's team hotel in Indianapolis. Before they take on Washington in the semifinals, Syracuse coach Quentin Hillsman fires up his team during pregame meetings. 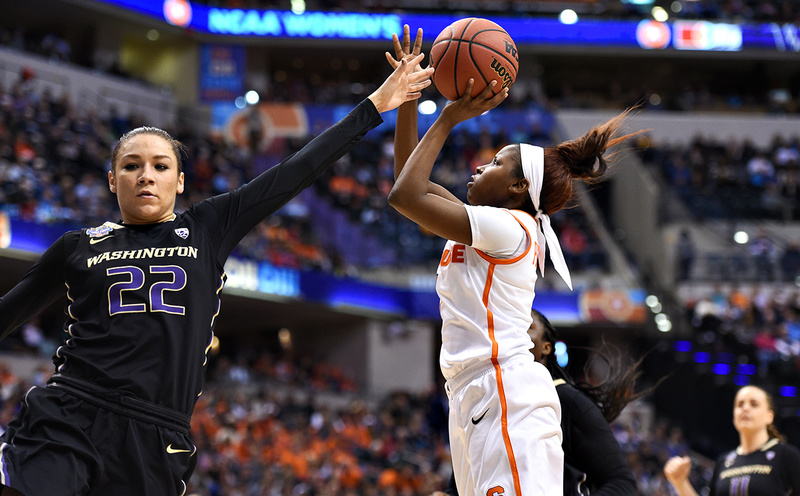 Guard Alexis Peterson takes a shot from under the basket during the second quarter against Washington. Maggie Morrison, left, battles to get a jump ball during the third quarter. 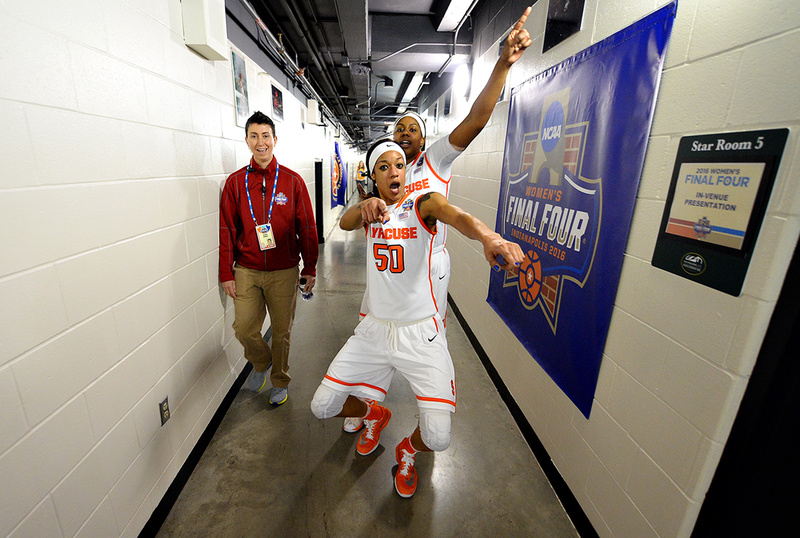 Briana Day celebrates on the way back to the locker room after Syracuse defeated the Washington Huskies 80-59, securing a spot in the national championship game. 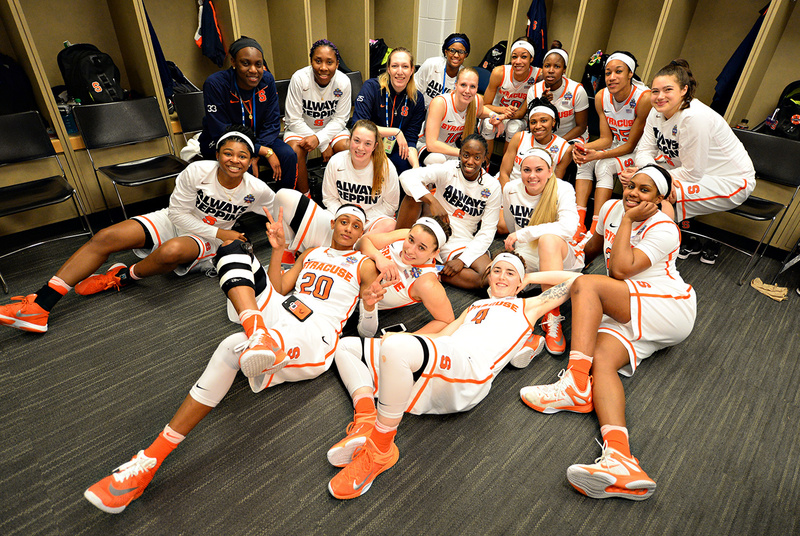 Syracuse poses in their locker room after winning the semifinal against Washington They will face UConn in the women's national title game. 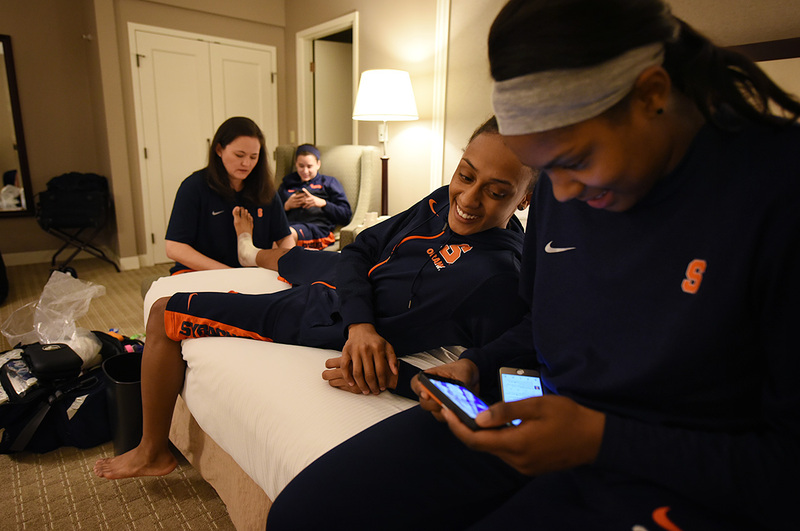 Guard Brittney Sykes has her ankle taped up by Syracuse trainer Karen McKinney in McKinney's hotel room before the NCAA women's national championship game. 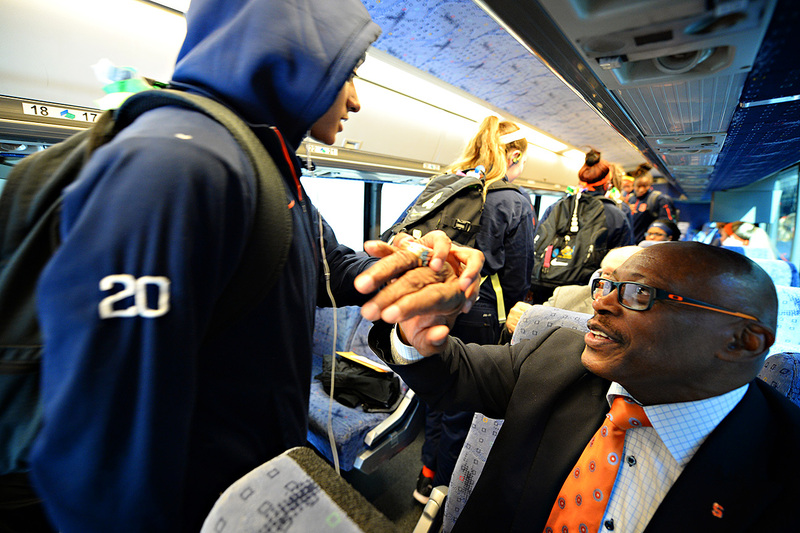 Sykes touches the Hall of Fame ring of former Orange and Denver Broncos running back Floyd Little on the team bus before the national championship game against UConn. Sykes calls the ring lucky and makes sure to touch it each time she sees Little. 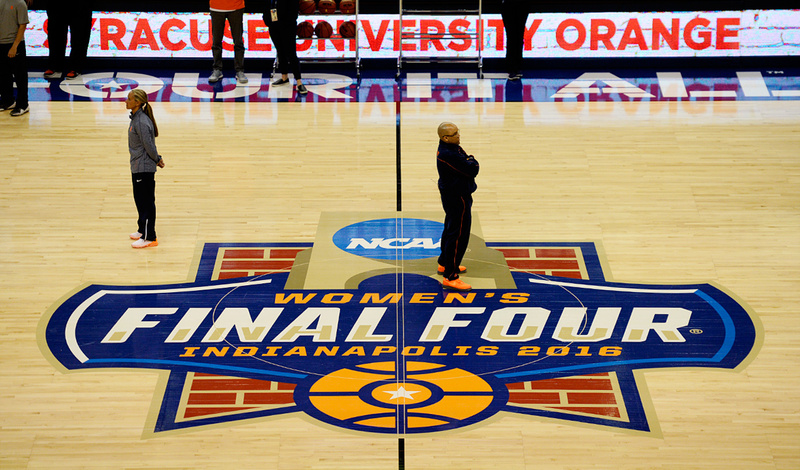 Brianna Butler is introduced before the start of the NCAA women's national championship game between Connecticut and Syracuse. 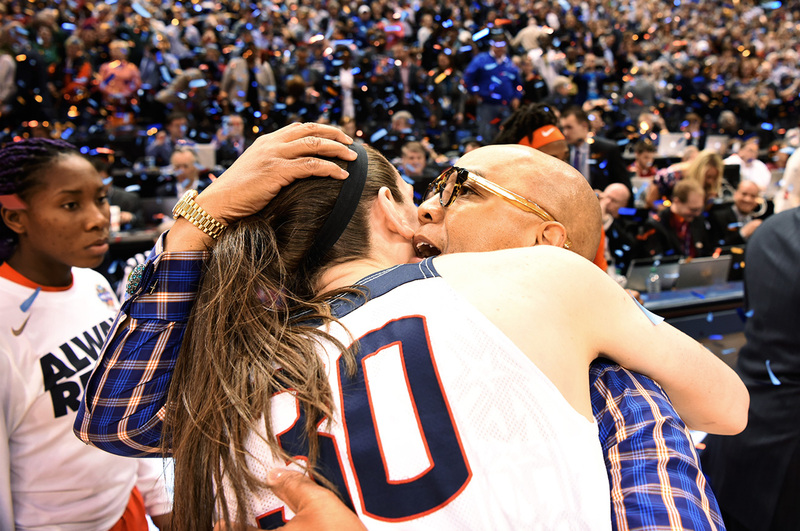 Syracuse coach Quentin Hillsman hugs Connecticut forward Breanna Stewart after UConn won the national title 82-51.